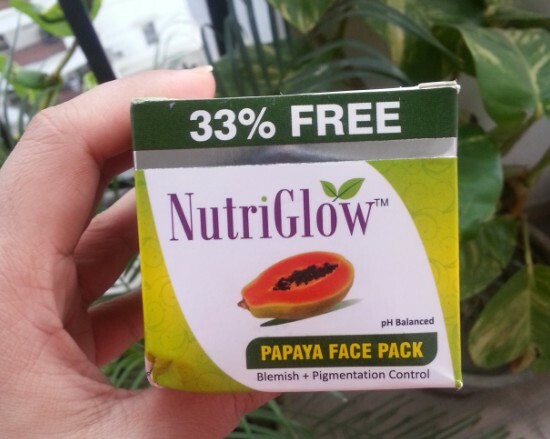 Hi everyone, today I am reviewing NutriGlow Papaya Face Pack that I bought online from Jabong.com. NutriGlow Cosmetics Pvt. Ltd., is India’s fastest growing manufacturer of beauty products, who offers wide range of makeup, skin care and body care products. I have a combination skin with few acne scars and light blemishes. I always tempted to skin care products that promise to control blemishes and pigmentation, which are my main concern these days. 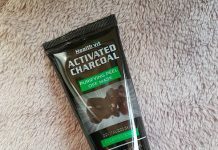 I have been using this mask for last 8 days and now I am sharing my experience with this mask. Packaging : It comes in a white plastic jar with screw cap. The packaging is quite sturdy and travel friendly. Personally I don’t like jar packaging, as it is unhygienic, I wish they offer squeeze tube instead of jar. 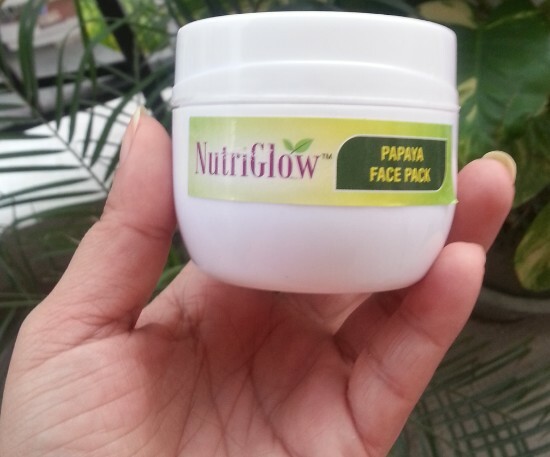 My Experience : NutriGlow Papaya face pack has a mint green color and has quite refreshing fragrance which I don’t like much. 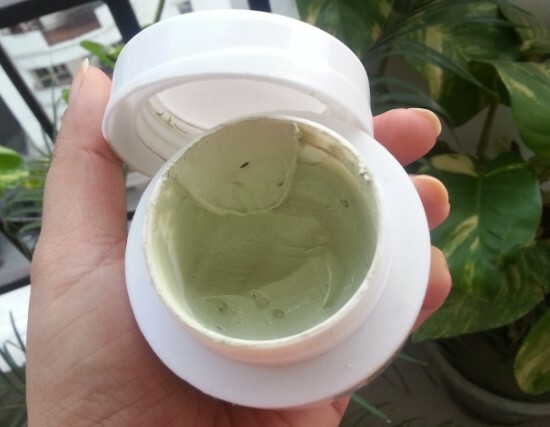 It has a thick consistency and its creamy texture helps to glide smoothly onto skin. I am using this face mask religiously for last 8 days and I use it during night time. 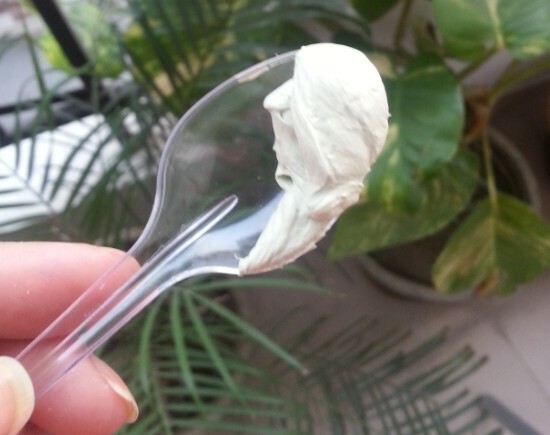 After cleaning my face with mild cleansing lotion, I scoop out a spoon full of the face mask and apply it all over my face & neck (I use plastic spoon to scoop out face mask). I use my fingers to apply this mask, if you want you can also use face pack brush. 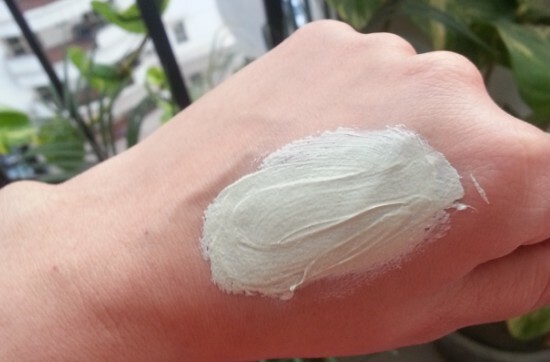 Make sure to apply mask evenly and do not apply very thick layer, as it will take more time to dry out. NutriGlow Papaya Face Pack gives little tingling sensation to my skin that vanishes after some time. When it starts drying, I feel a little tightening effect on my skin. It drys out completely in 10-15 minutes, drying time depends up on how thick or thin layer you have applied. It is quite tough to rinse this pack off, I usually splash water on my face and then wash it off using sponge. It takes 5-8 minutes to wash off this mask with sponge and 15-20 minutes using running water. After pat dry my face, I notice a nice glow on my skin. 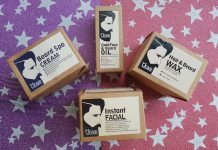 My skin feels soft & clean and there are no traces of oil. It doesn’t make my skin dry or stretchy. This face mask hydrates my combination skin and my skin feels relaxed and calm. 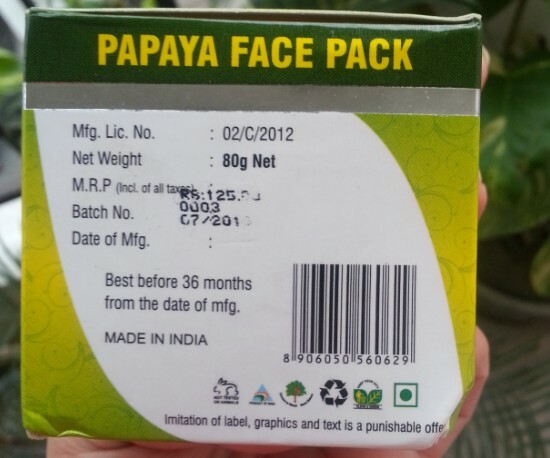 Ok now come to NutriGlow Papaya face pack’s claims, yes! it reduces oil and doesn’t clog pores. But as far as acne marks & blemishes are concerned, they are still there. 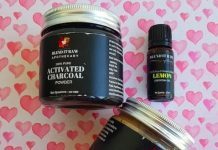 It lightens my blemishes 10-15%, but doesn’t improve my skin texture. I think it is too early to expect so much from this decent face pack. Overall I like this NutriGlow Papaya Face Pack as it contains some amazing natural ingredients like Papaya extract, Aloe Vera gel, Saffron extract, Turmeric & Sandal oil. I think I will use this mask for some more time to see its results. I have used this pack 8-10 times and still 1/3rd product is left. This 80g pack will last easily for 15-20 usages. Claim : NutriGlow Papaya Face Pack removes scars and blemishes from the face, making it soft and smooth. It has natural Bleaching properties to improve the dead epithelial cells and replenishes with the fresh glowing skin. The Papaya Peel Oil helps to speed up natural skin renewal leaving the skin looking fresher & younger. It absorbs excess sebum, opens the pores, detoxifies the skin, stretch away wrinkles and leaves the skin smooth, tight and fresh.